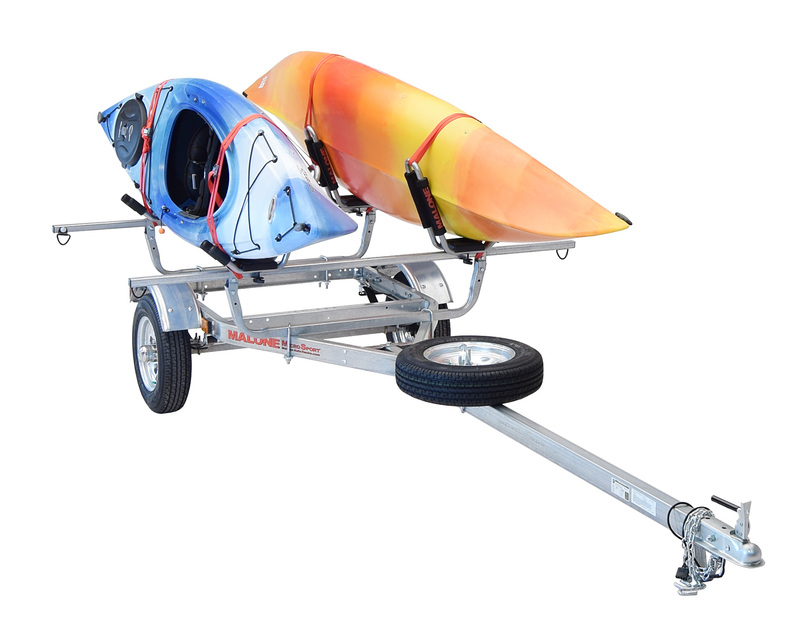 The MPG461G2 MicroSport trailer package was designed to carry two kayaks and still leave room for additional gear and storage. Perfect for two kayakers who like to get out on the water fast, easy and often. 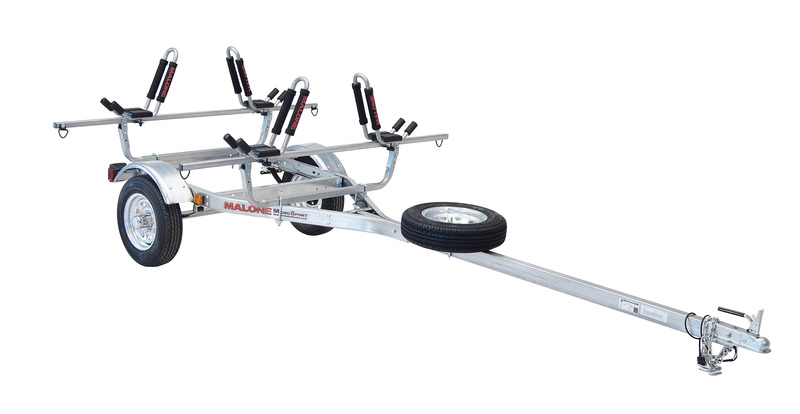 Each kit includes: reinforced steel tongue, DOT approved lighting & bearings, pre-wired electrical system, pre-fitted chassis components, 12" slotted wheels, 78" steel load bars, spare tire with locking attachment and two sets of our top rated MPG117MD J-Pro2 kayak carriers. The MPG461G2 MicroSport trailer package was designed to carry two kayaks and still leave room for additional gear and storage. Perfect for two kayakers who like to get out on the water fast, easy and often. Each kit includes: reinforced steel tongue, DOT approved lighting & bearings, pre-wired electrical system, pre-fitted chassis components, 12" slotted wheels, 65" coated steel load bars, spare tire with locking attachment and two sets of our top rated MPG117MD J-Pro2 kayak carriers. Total Shipment: Five cartons + tongue. Six total.